The story of Glenn Hammond Curtiss has largely been lost to history, overshadowed by the legend of the bicycle makers from Ohio, the Wright Brothers. 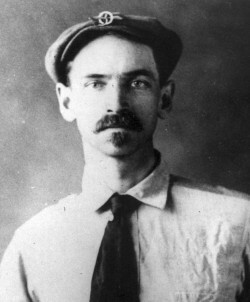 But Glenn Curtiss’ life and his contributions to the development of aviation is a true American tale. Glenn Curtiss: The Forgotten Eagle explores the life of this aviation pioneer, from his early days as an engine designer and motorcycle racing champion to his days as the maker of some of the world’s earliest airplanes. It would be Curtiss – not the Wright Brothers – who would be awarded America’s first pilot’s license, and credited with the first public flight in the United States. Curtiss would also become the target of the Wright Brothers’ jealousy and wrath, and that threatened to tear his world apart. Glenn Curtiss: The Forgotten Eagle is the first comprehensive documentary to explore the life of Glenn Curtiss and the winner of a New York State Emmy for historical and cultural programming. Featuring a wealth of rare photographs and archival footage, this production is a long overdue look at the life of an American original.